Use your education to your advantage with a GM Student Discount from Markville Chevrolet. 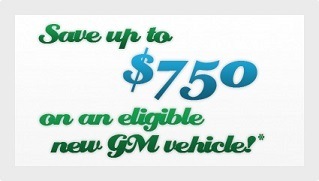 Students can save up to $750 on eligible Chevrolet, Buick, and GMC models. Then we want to help you purchase your very first vehicle. With the help of GM's Student Bonus program, you can save up to $750 off the price of an eligible Chevrolet, Cadillac, Buick, or GMC vehicle.